Trolling the web will yield yo usom epretty interesting Volvos, but most of them are not of the later 7- and 9-series cars. It seems these don’t bring out the response in brickheads that the earlier Amazon and 140/240 series cars do, which on some level is surprising, since they’re just as boxy! 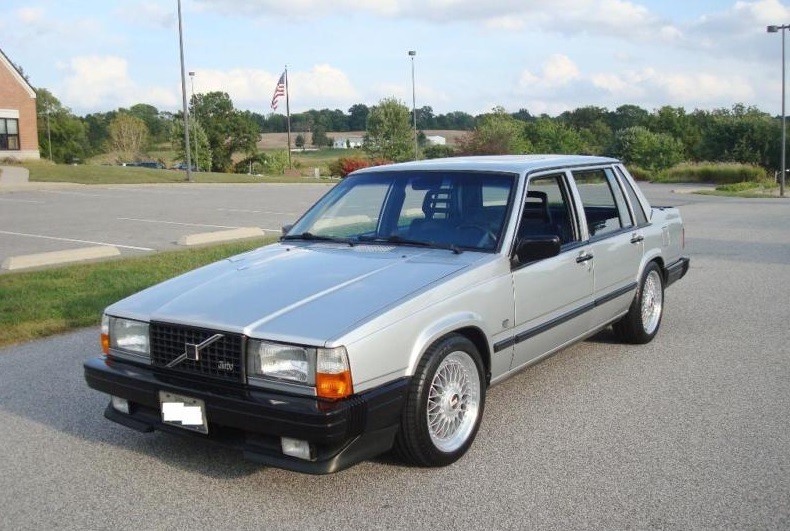 The most commonly seen interesting example of 7-/9-series Volvo is one with an American V8 conversion, so finding a modified 740 Turbo at a reasonable price level is a pleasant surprise. 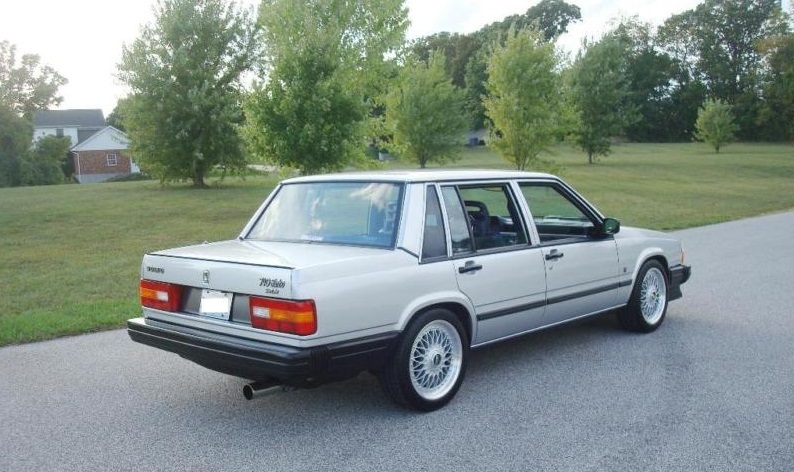 Granted, there are no guarantees since the auction has only started, but you can find this 1985 Volvo 740 Turbo sedan with bidding currently at $2830 and 6 1/2 days left to go. It’s interesting how even though is is clearly not a new design, some minor refinements in terms of the trim and specification can really make this car look as smart as it did when the model first debuted. With 148,329 miles, it will still do the quarter mile in 13.8 seconds. With all kinds of creative work including an iPd turbo cam, intercooler from an Isuzu box truck and manifold & head porting, this should breathe far better than your stock Volvo engine. As you can see, the suspension has also been modified, which in conjunction with the BMW Style 5 wheels and European-looking front end makes the car look a lot cleaner. The car does have some minor issues common for cars its age, including inoperable A/C, occasional failure to engage the overdrive, and reverse lights that don’t work. 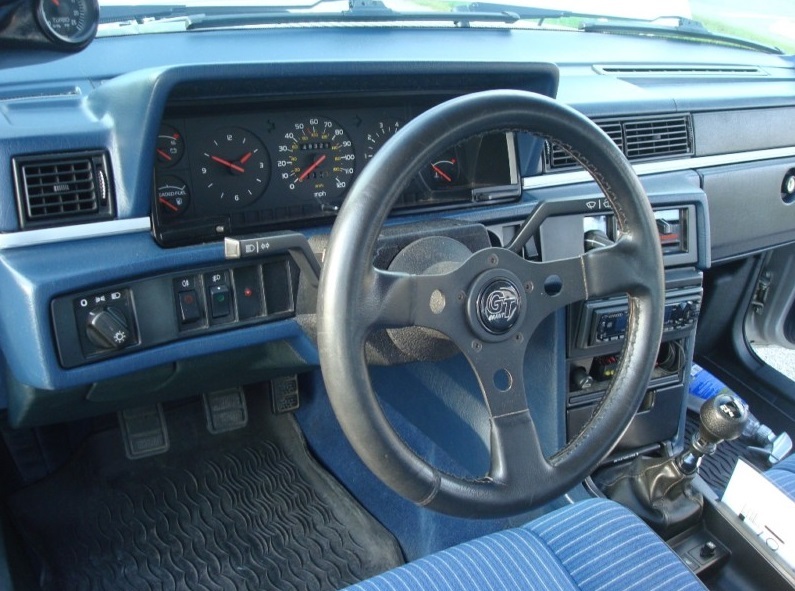 The interior looks sporty enough, in spite of the soft-looking stock seats. One could argue this makes up for the firmer suspension on long-distance drives, and Volvo seats are in any case some of the most comfortable seats outside of French cars’ seats. 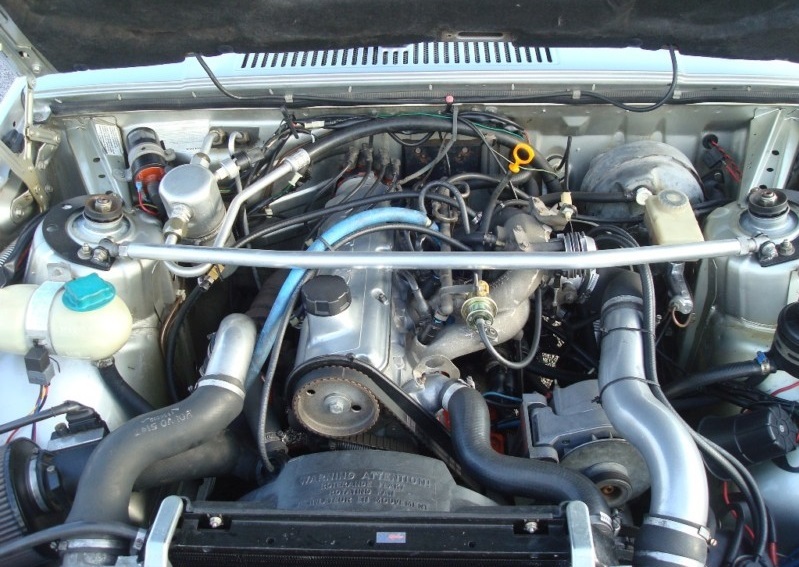 What a tidy engine in a 29-year-old Volvo. The emissions gear still makes a bit of a mess of things, but this show-worthy car is as clean as could be without any extreme tidy-up measures that would make the engine bay look ridiculously bare. For what would be a reliable, daily-driving worthy car that can hold its own with modern-day traffic, look no further than this box! This entry was posted on October 8, 2013 at 5:25 pm and is filed under Feature. You can follow any responses to this entry through the RSS 2.0 feed. You can leave a response, or trackback from your own site.